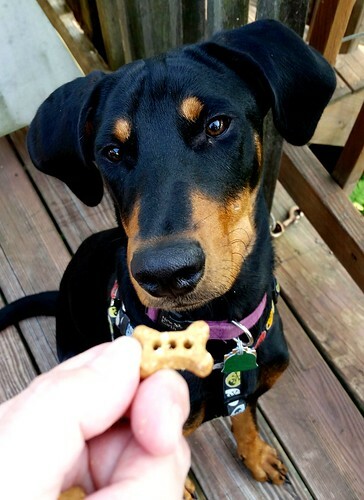 Disclosure: Riley's Organics sent dog treats to Lapdog Creations, free of charge for review purposes. I was not compensated for this review and all opinions expressed are my own. Anyone who knows the Lapdogs knows how much they love their taste-testing duties. 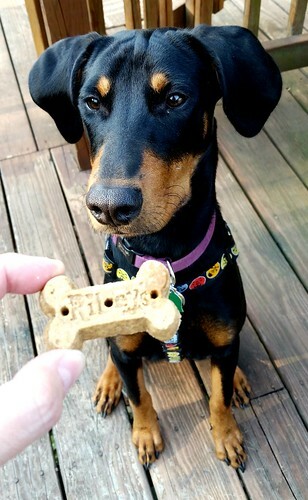 After all, what dog wouldn't love getting to sample tasty treats for free (although they seem to think everything is free... one of them really needs to get a paying side job)? 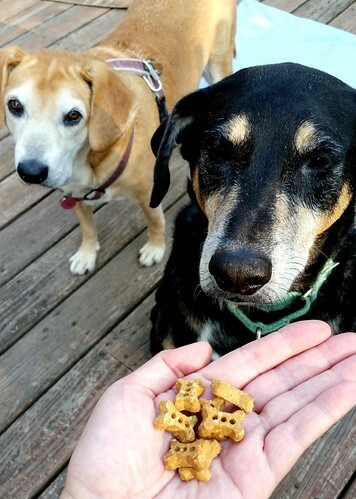 While they rarely ever find a treat they don't like (I've had a couple picky eaters, but someone always gobbles up anything left behind), there have been some that Mama chooses not to purchase going forward - whether it be because of the ingredients, where they're made, or simply lack of availability to us. 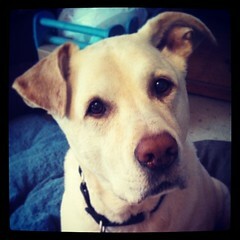 Then, there are treats that not only do the Lapdogs drool for, but Mama thinks are quite wonderful too. Those get added to the "find and purchase" list. Riley's Organics have been added to that list. Not only do I feel great about feeding Riley's Organics to my dogs, but with their amazing smell and delicious sounding recipes, I almost want to eat them myself. Which I actually could do because Riley's Organics are 100% natural, made with human-grade ingredients right here in the USA. They are even USDA Certified Organic. 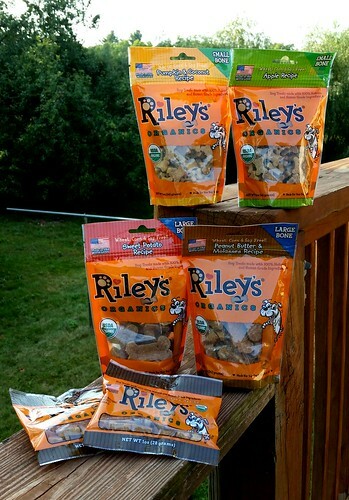 At Riley's Organics, they believe that our dogs deserve the same quality ingredients and processes that we have. At the Lapdog house, we believe that our dogs often eat better than we do.... ha ha! 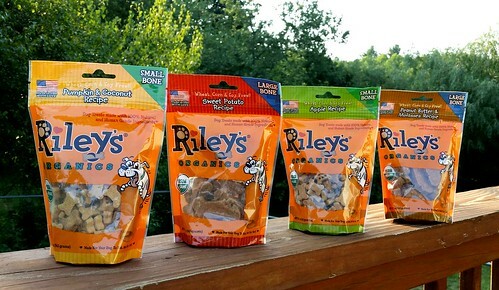 Riley's Organics treats are currently available in four different flavors, each of which is available in both small and large bones. All four flavors are rich in antioxidants and vitamins to help support a dog's immune system and keep their heart healthy. The first thing I noticed when opening each bag of Riley's Organics was the truly amazing smell. You can easily identify the flavor from smell alone, which to me means the treats are actually packed full of those wholesome ingredients! There are no "artificial flavors" to be found here! 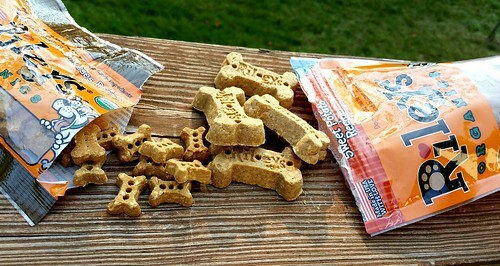 The small bones are the perfect size for toy and small breeds, of course, but they also make great training treats. 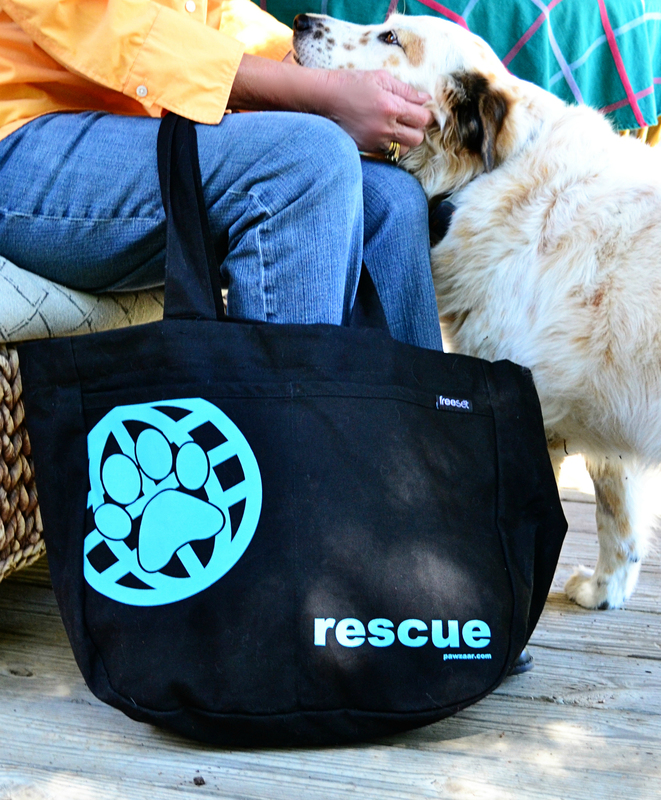 The large size are great for bigger dogs (like the Lapdogs), but can easily be broken into smaller pieces. 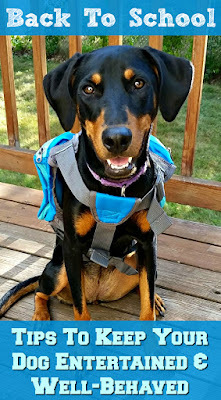 If you have multiple dogs in your household, either size would work just fine. 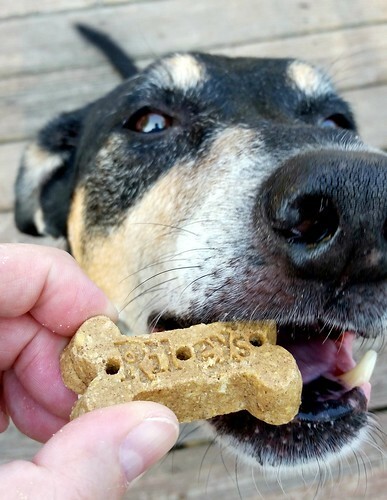 Not only does Riley's Organics make a top-quality treat that any dog is sure to drool over, but they are grounded in being good human beings and corporate citizens as well. Founder Grant Weber was born and raised in America's heartland where he learned at a young age that taking the "right route was not always the easiest route." He spent long days in the fields, working hard to grow healthy, good tasting, nutritious crops. It is there where Grant forged a bond with Riley, who not only made those long days in the fields easier, but she taught him about trust and love. 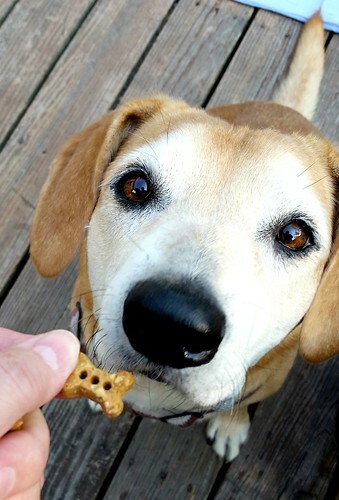 When asked "Why Organic," Riley's Organics answers, "With all of the uncertainty in the pet food market today, you want to be sure the food you are feeding your pet is safe. 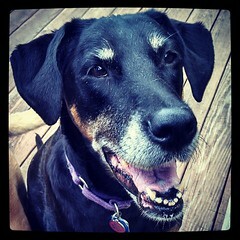 Organic certification is one way to feel good about what you are feeding your best friend!" As an always overly-concerned dog Mom who's been known to grab an unknown treat right out of my dog's mouth before, I couldn't agree more. 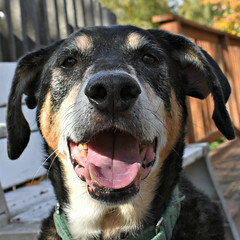 Riley's Organics have received the Lapdogs Official Seal of Approval! 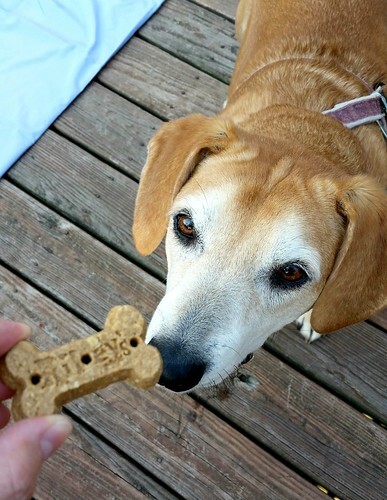 The new-to-us-but-now-on-our-regular-list treat is highly recommended for any and all dogs out there! And, to make life convenient, you can get them online at Amazon! 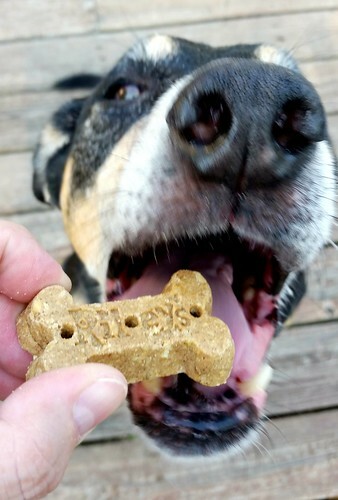 Just click on the widget* at the beginning of this review or click this link* - Riley's Organics - Peanut Butter & Molasses - 5 oz Large Biscuits - Human Grade Organic Dog Treats - Resealable Bag I seem to always be ordering something from Amazon, and now adding a couple bags of Riley's Organics to my order will be standard practice! 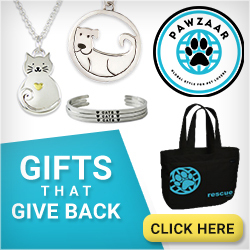 *These are Amazon Affiliate links. 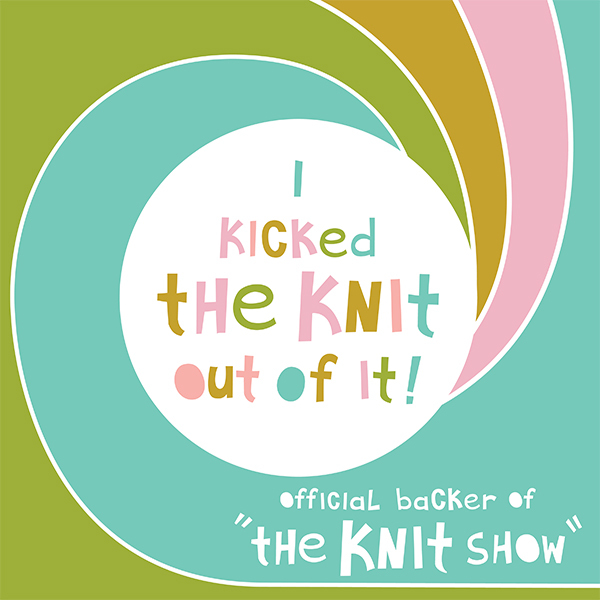 If you click on them and make a purchase, I will receive a very small commission. Loving hearing and learning about new treats! I bet the goldens would love pumpkin/coconut! Great review! Some of those combinations already have my mouth watering. 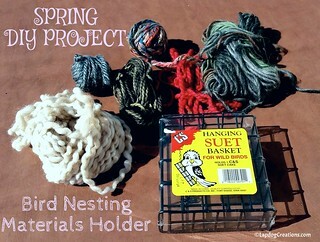 Since I seem to order from Amazon almost daily, I'll certainly put these on the wishlist. 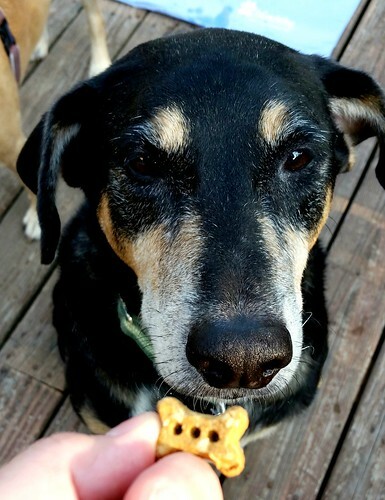 I always kept small treats around for my mastiffs, and still do so for Tank. It's like my dieting theory: if I can have 2 or 3 small ones, that's better than one big one, because it's more! Hooray for treats from Amazon, who seems to visit us all regularly! Those look really yummy. Brown dawgs would especially love the apple! Oh yummm, those do look good. But guess I can't have any cuz I'm a cat and I'm also on a diet.